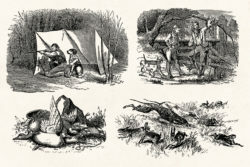 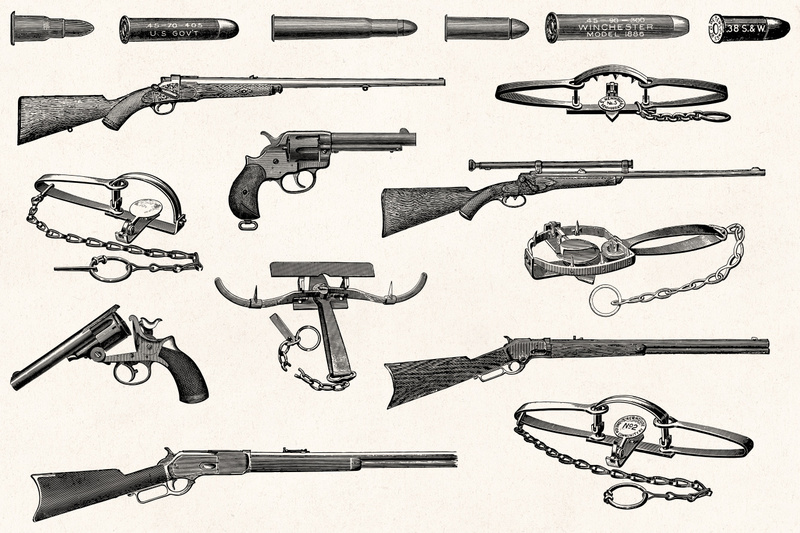 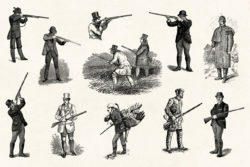 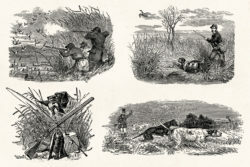 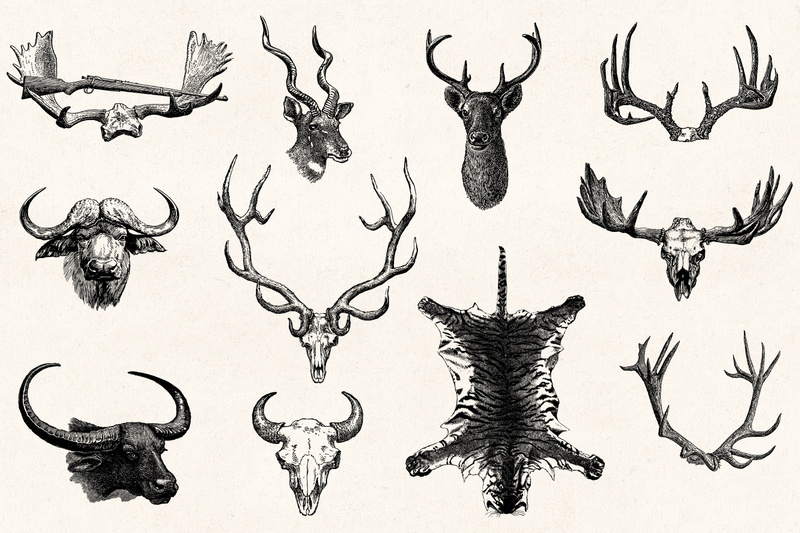 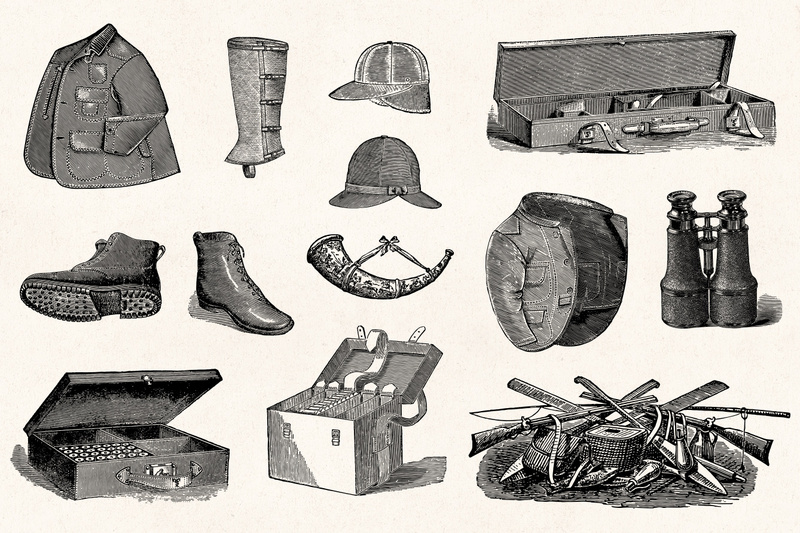 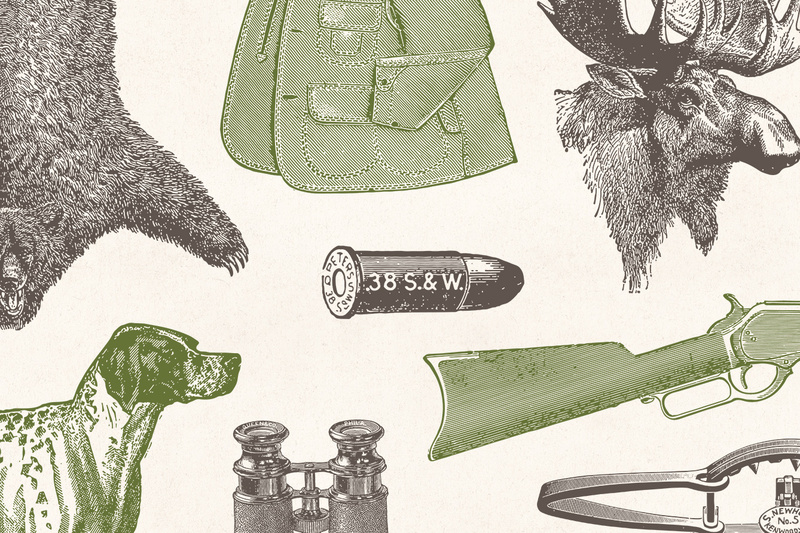 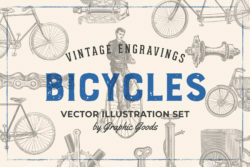 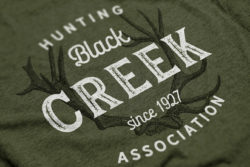 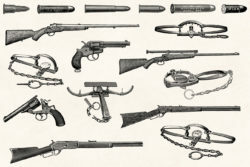 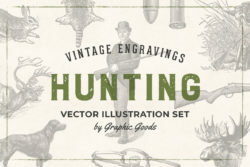 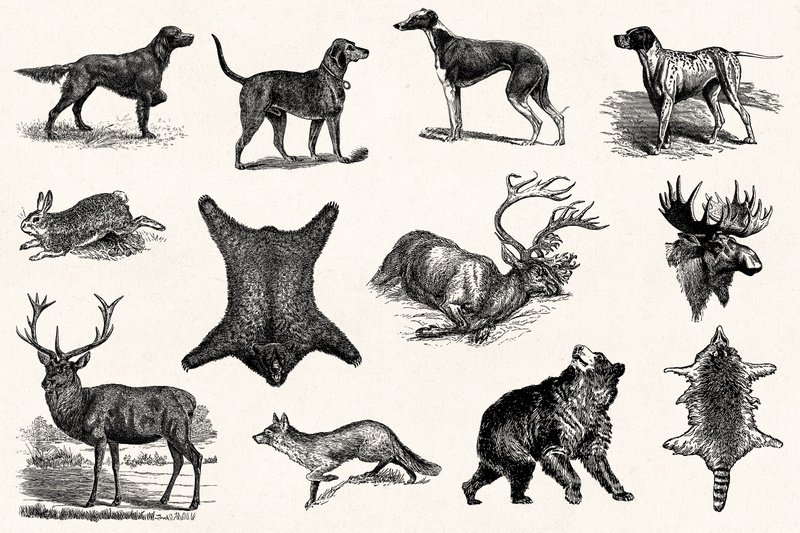 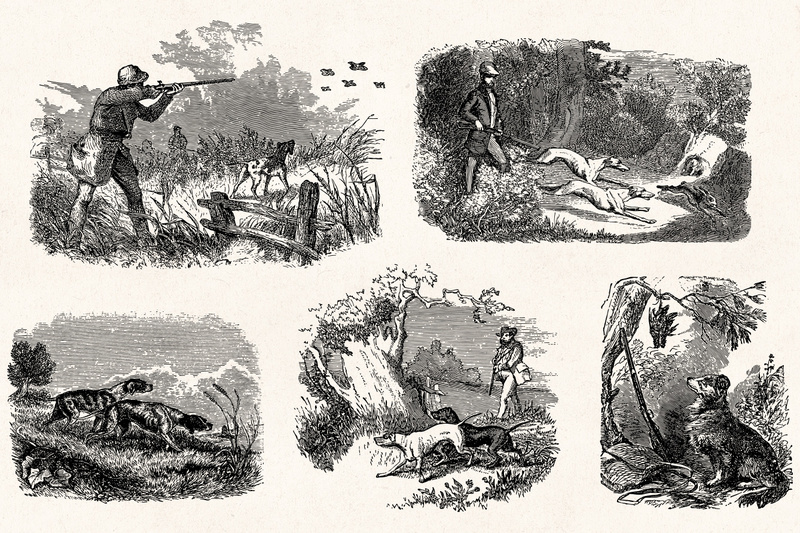 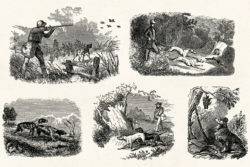 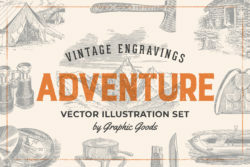 A collection of engraving-style hunting illustrations restored from old 19th-century books and catalogs. 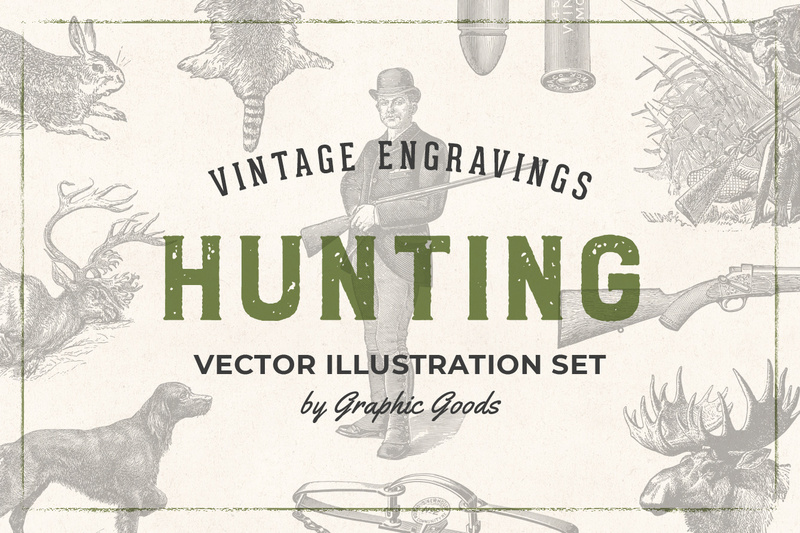 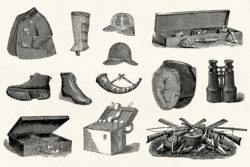 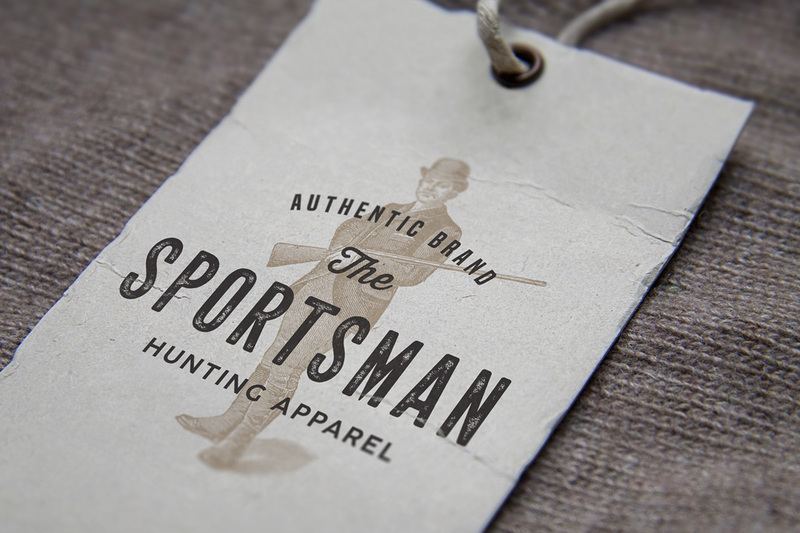 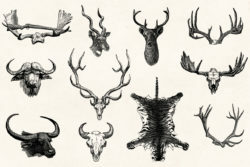 This set contains 77 vintage drawings of hunters, hunting scenes, game animals such as deer, moose, bear, rabbit, fox, buffalo, game trophies, antlers, hunting dogs such as pointer, setter, greyhound, foxhound, hunting gear and clothing, guns, rifles and revolvers, ammunition, hunting traps and more. 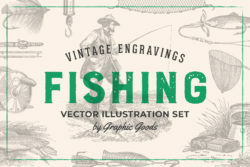 These illustrations will be perfect for wide variety of projects, for example, logos and branding, fabric and apparel design, packaging, stationery etc. It’s also very suitable for decoupage and scrapbooking.